Apple unveiled three new iPhones and a watch that detects heart problems on Wednesday. The phones will be available in Qatar officially by September 28, it was disclosed at the launch event. The new phone XS and XS Max will be available for pre-order from September 14 and will hit some markets like the US on September 21. Usually the new iPhone reaches Doha on the same day through grey market but will be priced exorbitantly higher than actual price. Apple also introduced a lower-cost 6.1-inch (15.5 cm) iPhone XR made of aluminum, at a starting price at $749, and will be available in the US from October 26. 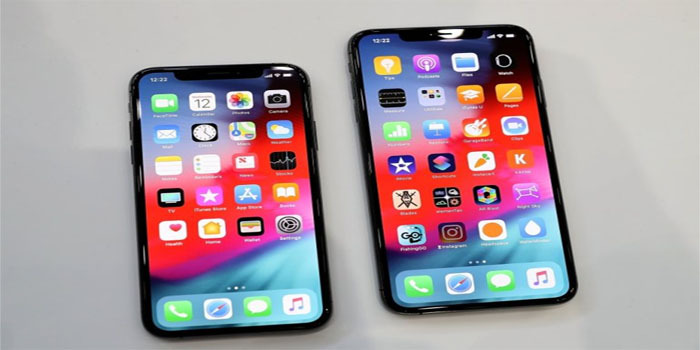 The iPhone XS Max’s display size is 26 percent larger than the previous largest iPhone display, marking it the largest increase in screen size since 2014. This year’s three top phones are all more expensive than last year’s models. With two of them starting at $999 or higher in the United States.